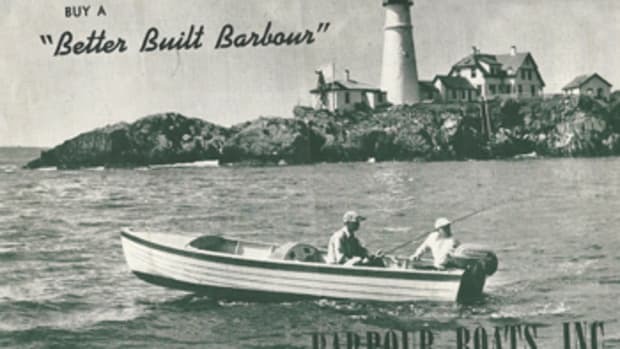 For more than 60 years Barbour Boat Works was a fixture in the North Carolina economy. Founded in 1933 by Herbert W. Barbour, the New Bern yard initially focused on the repair and construction of small commercial vessels. The yard built rescue boats and minesweepers for the Navy during World War II, but it is best known for the pleasure craft it produced after the war — powerboats for water-skiing, fishing and cruising. This Soundings article has more about the company.